Other racing experience: Began pro career in the late 1960s in Top Fuel dragsters and Funny Cars, and in 1973 reached the Funny Car finals at the NHRA Winternationals at Pomona, Calif. Returned to racing in 1978, and a year later was the Funny Car winner at the NHRA Cajun Nationals at Baton Rouge, La. In 1980, began an association with the Budweiser brand of Anheuser-Busch, Inc., which stands as the longest-running team/sponsor partnership in motorsports. A four-time NHRA Winston Funny Car Champion, and also an IHRA Winston World Championship Funny Car crown to his credit, he is a seven-time AARWBA Auto Racing All-American. Bernstein earned the title “King of Speed” when he became the first NHRA driver to break the elusive 300 mile-per-hour barrier when he was clocked at 301.70 mph on March 20, 1992, during qualifying for the NHRA Gatornationals at Gainesville, Fla. He was the first to reach 310 mph, when he was clocked at 311.85 mph on October 30, 1994, at Pomona Calif. Holds the unique distinction of being the first and only race team owner to have collected wins in each of America’s three major motorsports series -- NHRA Winston Drag Racing, NASCAR Winston Cup and IndyCar. Won the 1996 NHRA Winston Top Fuel Championship becoming the first driver to win NHRA championships in both Top Fuel and Funny Car. Honored at the 1997 Car Craft awards banquet by receiving the prestigious Ollie Award with Dale Armstrong for all of their years of dedication to the sport of NHRA Winston Drag Racing. Inducted into Petersen Publishing HOT ROD Magazine’s Hall of Fame as one of the Top 100 Most Influential People within the high performance industry. 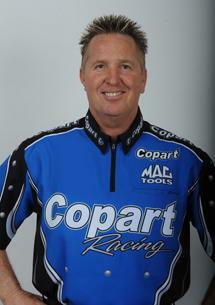 Won his second NHRA Top Fuel championship in 2001, by virtue of eight national event wins. In 2001, he won 61 rounds of competition, setting an NHRA record for the number of Top Fuel rounds won in a season, a record that was intact at the end of Bernstein’s driving career. In 2001 he set both ends of the world performance records, speed (332.18 mph) and elapsed time (4.477 seconds), records that were still unbroken at the end of Bernstein’s 2002 driving career. 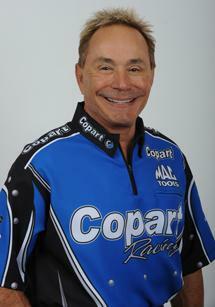 Also in 2001, he was voted in the top ten drivers in NHRA’s 50-year history. In 2003, Bernstein competed in 15 NHRA national events, substituting for his son who was injured May 18 in Englishtown, N.J. Bernstein won four of the last five events of the ’03 season, amassing 39 Top Fuel victories boosting him to second on the all-time Top Fuel win list, surpassing the legendary Don Garlits. His 39 Top Fuel victories, combined with 30 Funny Car victories, make him No. 2 on the career nitro (Top Fuel and Funny Car) win list. Also, Bernstein surpassed 1000 rounds of competition, which ranks him No. 2 on the all-time list of nitro category career rounds of competition. In 2005 Bernstein was named by the American Auto Racing Writers and Broadcasters Association as one of 12 nominees for the Newsmaker of the Half-Century award. In April of 2006, he was inducted into the Texas Motor Sports Hall of Fame during a gala at the Texas Motor Speedway. Bernstein staged an NHRA comeback in 2007 driving a Monster Energy/Lucas Oil Dodge Charger Funny Car and finished runner-up twice. At the end of the 2007 season, he made a decision to step from the cockpit and continue his role as owner of the Budweiser/Lucas Oil Top Fuel dragster and the Monster Energy Funny Car. Additionally in 2007, Bernstein was inducted into the Don Garlits International Drag Racing Hall of Fame. In 2008, he continued to guide his two race teams. 2009 was a landmark year for Bernstein. It was the 30th anniversary and last year of his Budweiser sponsorship, the longest team/sponsorship association in all of autosports. He was also inducted into the Motorsports Hall of Fame of America in Novi, Michigan. 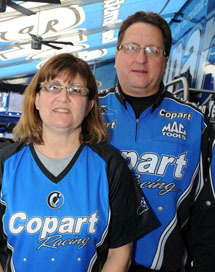 Secured sponsorship from Copart, Inc. for 2010, which was extended through 2013. Responsibilities: Bernstein, a “hands on” team owner, continues to market, sell, and manage his race team. Hobbies: Riding motorcycles, golfing, and exercising. 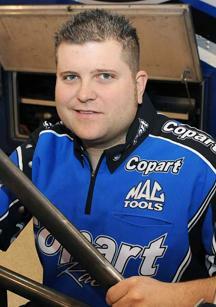 Racing experience: Son of six-time NHRA champion Kenny Bernstein. Brandon worked part-time for the Budweiser King team during his summers away from Texas A & M University. Following graduation in 1996, he worked full-time with the team. In 2001 he drove an Alcohol Dragster and worked part-time for the Budweiser King team. Won the Division 7 Alcohol Dragster championship, along with “Driver of the Year” honors and finished fourth in national Alcohol Dragster competition. He and his father became the first father/son duo in NHRA’s 50-year history to win at the same national event when they “doubled” at the SummitRacing.com Nationals in April 2001. They doubled again at the Lucas Oil Products Nationals in Chicago in June 2001. 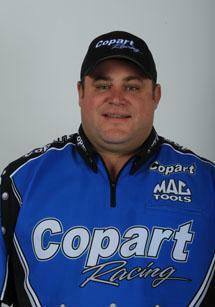 Brandon worked solely as a crew member on his father’s team in 2002. 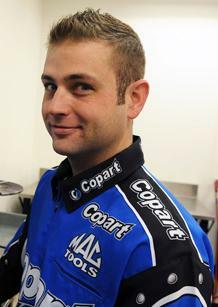 In 2003, Brandon had a sensational beginning to his rookie year behind the wheel of the Budweiser/Lucas Oil dragster. He won three of the first eight events, qualified No. 1 twice and even lead the Top Fuel point standings before an injury May 18 at Englishtown, NJ sidelined him for the season. Despite a shortened season, Bernstein’s early performance achievements won him the prestigious Automobile Club of Southern California Road to the Future Rookie of the Year award, determined by a vote from a distinguished panel of motorsports journalists. Bernstein has the distinction of having the most successful career launch of any other Top Fuel or Funny Car driver in NHRA history, winning five of his first 13 starts. He is also a second generation “King of Speed”, having set an NHRA world speed record of 333.41 mph in Chicago in May 2004. In 2005, he won two national events. In 2006, the team logged four victories and three runner-up finishes to challenge for the championship and ultimately finished third in the ’06 point standings. In 2007 he won five events, setting a career high number of event wins per season. He was a contender for the Top Fuel championship until the semifinals of the season-ending event and finished third in the final point standings. In 2008, his last season with co-crew chiefs Tim and Kim Richards, the team made four final round appearances, finishing seventh in point standings. In 2009, under the guidance of crew chief Rob Flynn, Brandon won in Richmond, Va., had four runner-up finishes and was No. 5 in 2009 NHRA Full Throttle point standings. After a crew chief change early in the 2010 season, Bernstein drove to three runner-up showings, finishing seventh in the 2010 point standings. Brandon has 18 career victories. Education: Graduated Texas A & M University with a Bachelor of Science degree in kinesiology, specializing in Sports Management in 1996. Current Residence: Cooper City, Fla.
Other racing experience: Todd is the son of two-time NHRA Comp Eliminator World Champion Charlie Smith and began his motorsports career racing motorcycles. He began working his way up the ranks as a crew member in the late 1980s and his career path led to many of the legendary teams in the sport. He was co-crew chief with Kalitta Motorsports from 1995-1999 and co-crew chief on the Darrell Gwynn-owned Top Fuel dragster in 2000 and 2001. He moved to crew chief of that team in 2002. 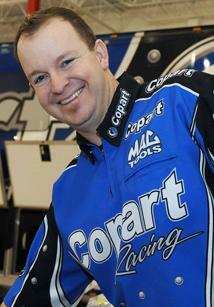 He was crew chief on the Cory McClenathan-driven dragster from 2003 to 2005. 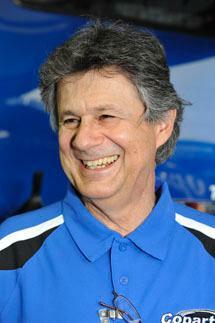 In 2006, Smith joined Don Prudhomme Racing where he was co-crew chief through the end of 2009. In the first week of the 2010 season, Prudhomme closed his operation and retired from the sport at which time Smith joined the Kenny Bernstein Racing team. Smith directed the team to three final round showings in 2010. Other Racing Experience: Served as crew chief for Don Prudhomme’s Snake Racing team from 2006-2009 before Prudhomme retired from the sport. Prior to that he worked on Doug Kalitta’s Top Fuel crew and with Jim Head Racing. Before racing, Bender spent 10 years working in the oil industry dealing with pipeline equipment. Bender and Smith led the Kenny Bernstein Racing team to three runner-up finishes in 2010. Other racing experience: Worked with Don Schumacher Racing in 2003 as transporter driver and clutch assistant on Scotty Cannon’s Funny Car team. Joined the Bernstein operation in 2004. Responsibilities: Building short blocks, fuel mixologist, maintenance of engine components. Other racing experience: After spending eight years as an Indianapolis area mechanic, 2008 marked his first year in racing. Other racing experience: Previously a Harley-Davidson tech. Other racing/work experience: Worked on the Budweiser King Top Fuel dragster from 1996-1998. Spent four years with Don Prudhomme Racing working on Larry Dixon’s Top Fuel dragster and four and a half years with Kalitta Motorsports working on Scott Kalitta’s car before rejoining Kenny Bernstein Racing. Other Racing Experience: Bachelor’s Degree in mechanical engineering, worked for three years as a mechanical engineer. Raced four-wheelers for 12 years. 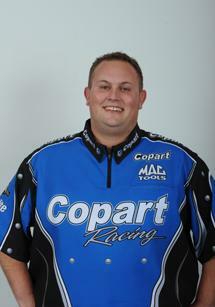 In 2008 began drag racing career at end of season as Funny Car ‘body man’ on Melanie Troxel’s car. Worked on Antron Brown’s Top Fuel dragster as clutch assistant and maintained tires through 2009 and 2010 seasons. Joined Kenny Bernstein Racing at the conclusion of the 2010 season. Hobbies: Riding motorcycles and working on Dad’s drag car. Other Racing Experience: Worked at father’s race shop as a youngster until 2004. Learned to port cylinder heads and manifolds as well as machining cyllinder heads and blocks, built engines and ran the dynamometer. Worked at Doug Herbert Racing from 2005-2006 building short blocks, cylinder heads, among other responsibilities. 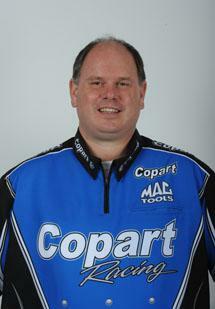 Moved to Don Prudhomme Racing in 2007 and worked through 2009 maintaining the clutch and rear end. Also worked with the clutch dynamometer. During the 2010 season, worked for Don Schumacher Racing. Duties included driving one of the team semi-trailers and maintaining the clutch and rear end. Joined Kenny Bernstein Racing at the conclusion of the 2010 season. Responsibilities at Kenny Bernstein Racing: Maintaining the clutch and rear end. Other work experience: Worked for Kenny in the 1970s in the Chelsea Street Pub chain as a restaurant manager, with a total of 23 years as a restaurant manager. Grew up around drag racing in Texas working with George Cox and Joe Angell on the Banzai Racing Team and Kenny’s Chelsea King Funny Car. Responsibilities: Hospitality truck driver. Maintains hospitality truck and trailer and all equipment used to entertain guests. Also is the team chef. Hobbies: Sports, watching football, attending the local Dallas Ft. Worth race tracks with wife Sarah and sons Tom and Robert, racing his 10.5 (Geronimo) Mustang. Other work experience: Chef for Don Schumacher Racing in 2003. Worked with the hospitality team for Andretti Green Racing from 2004-2005, then came back to drag racing working as a chef for Morgan Lucas Racing from 2006-2010. Joined KBR at the beginning of the 2011 season. Responsibilities: Joins KBR veteran Eddie Angell as an additional chef and works on the hospitality staff. Hobbies: Enjoys spending time with his family, attending concerts and sporting events, enjoys traveling and cooking. 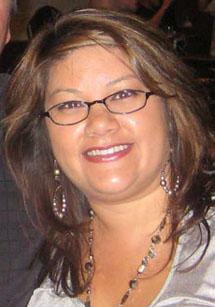 Other Work Experience: Before moving to California, Sheryl spent seven years as a Colorado bank loan officer. Responsibilities at Kenny Bernstein Racing: Administers, negotiates and manages contracts relative, but not limited to, sponsorship and real estate. Manages real estate acquisitions and design. 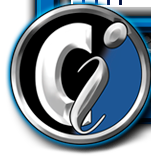 Oversees the souvenir program and related licensing contracts, oversees all insurance matters, oversees complete team creative design for the race car, race trailer, support trucks, hospitality trailer, team uniforms, press kit covers, autograph cards, etc. Hobbies: Golf, hiking, fishing, riding ATVs, camping, motorcycle riding, going to movies. 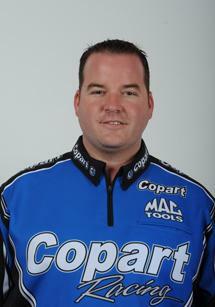 Other racing/work experience: Former NHRA nitro Funny Car driver. 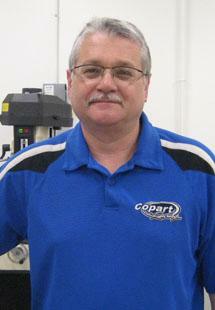 Formerly owned a supercharger and race engine building business in Ohio. Employed as marketing director of Kenny Bernstein’s King Sports marketing company formed in 1985 to support sponsors of Kenny’s racing teams. Was a member of Kenny’s management team from mid-1980s into the 1990s and was responsible for overseeing Kenny’s Indy Car and NASCAR racing teams. Team manager for a NASCAR team owned by International Sports Management, Inc. 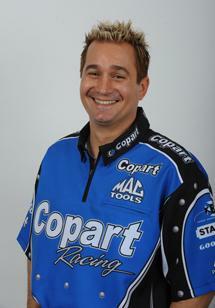 Prior to joining Kenny Bernstein Racing, he was the Director of Sportsman Racing and Member Tracks for NHRA from 2000-2007. Responsibilities at Kenny Bernstein Racing: General Manager of the company and the race team. Hobbies: Street rodding, building hot rod motorcycles, enjoying time with granddaughter. Other work experience: Worked for the Indianapolis Motor Speedway, Dan Gurney, Bobby and Al Unser, and with Jack Long on the marketing side for the U.S.-based Formula One Grands Prix including Caesar’s Palace, Detroit, and Long Beach. Also worked for the public relations firm of Bob Thomas and Associates. All Anheuser-Busch racing public relations including Can-Am, Indy 500, NASCAR and drag racing were administered by Bob Thomas and Associates in the late ‘70s and early ‘80s. When Kenny obtained the Budweiser sponsorship for the Funny Car, Arnold worked on the account. Arnold was also the marketing director for NHRA from 1993-1999 before returning to Kenny Bernstein Racing. Responsibilities at Kenny Bernstein Racing: Director of marketing and public relations for the company. Schedule appearances for Brandon and Kenny. Current Residence: Mission Viejo, CA. Other work experience: Program coordinator for the Education and Licensing Departments of the Motorcycle Safety Foundation, executive secretary for Talbrook Executive Suites. Responsibilities at Kenny Bernstein Racing: Office manager, executive secretary to Kenny Bernstein, assist with public relations, marketing and special events. Assist with creative, artwork and product approvals for souvenir sales. Notary Public. Hobbies: Softball, Creative Memories Scrapbooking, Girl Scout leader, cooking, camping, going to the beach, and snow skiing. Enjoys spending time with husband Dave and daughters Hannah and Sarah. Current Residence: Cooper City, FL. Other racing/work experience: Began career in drag racing with Darrell Gwynn Racing in 1998 while completing a bachelor’s degree in communications. Continued with Jerry and Darrell Gwynn and driver Cory McClenathan through 2003. 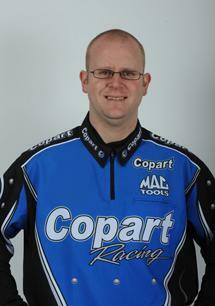 In 2004, again joined Cory as Team Operations Manager of Carrier Boyz Racing. 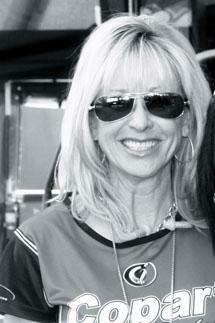 Served as Administrator for the Professional Racers Owners Organization (PRO) from 2005 to 2007. Responsibilities at Kenny Bernstein Racing: Coordinate/oversee trackside hospitality program for the Kenny Bernstein Racing team, as well as guest ticket needs and team travel. Assists Sheryl with team merchandise, team apparel, and other special projects. 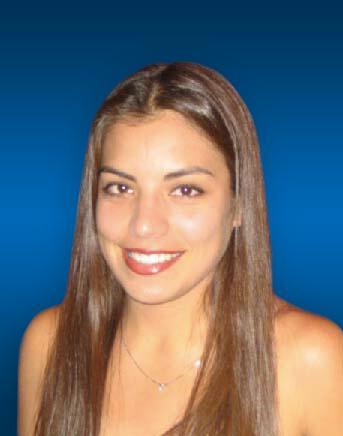 Hobbies: Shopping, beach, snorkeling, fishing and spending time with friends and family in South Florida. Responsibilities at Kenny Bernstein Racing: Answers phone, fan mail, auction mail, distributes press releases, advance stories, race results, press kits, hospitality packs and fulfills merchandise orders. Hobbies: Softball, movies, spending time with family and bicycle riding.